PS. Someone in Priyanka's ‘team’ should be fired for letting go of Tom Hiddleston, don’t you think? Last evening, one Mariah Smith became the Internet’s spittoon for the opinion piece she wrote for The Cut. 'Is Priyanka Chopra and Nick Jonas' Love For Real?' read the headline, and given the sheer madness and inquisitive frenzy around Priyanka and Nick’s wedding, most of us clicked. We were definitely not prepared for what followed. In the article, Smith blatantly called Priyanka both ‘a global scam artiste’ and ‘India’s pride’ with equal parts conviction and mockery. India took offence, and the mud-slinging started. 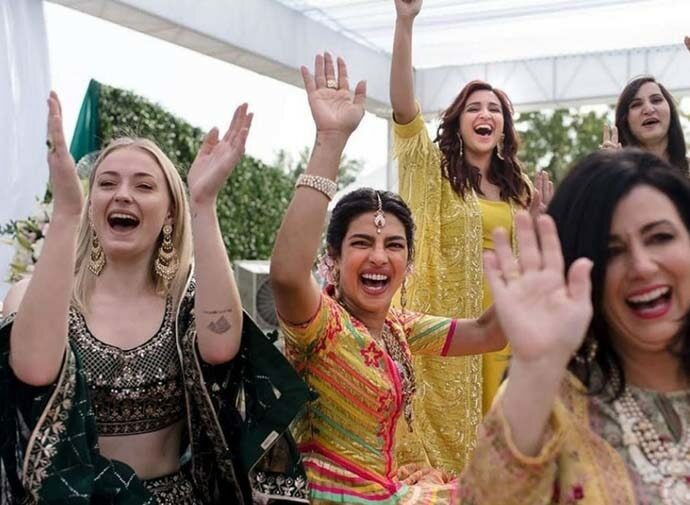 The piece was criticised for being racist, ageist and sexist, and everyone from Sonam Kapoor to Joe Jonas, expressed their disgust over it. So severe was the backlash that the article has since been removed, with a note of apology issued by the Editor. “Human error” and “poor judgement”, The Cut called it. Nope. It didn’t make the ‘cut’ with the Internet! “While Priyanka shopped for the finer things in life, her team shopped for finer men,” you read somewhere midway into the article. You go back to the previous line...lines...paragraph... only to look for the reason the writer might say that. Ahh, there it is, PeeCee was showing off her new home and the theatre she got built for herself. “I am an actor. I need a theatre. I absolutely need it,” she had said. Funny, I thought, PeeCee sure has a sense of humour. I said something to this effect last weekend when I spotted a leather jacket on a shop window, “I am in Delhi, I need a leather jacket. I absolutely need it!” My friends laughed, helped me try on a few and even patiently waited in the check-out queue for me. The Cut, however, didn’t see PeeCee’s OTT humour. Oh, by the way, mine was faux leather. No animals were harmed. Of course, The Cut’s ‘allegations’ could be silenced with just one sweeping statement — she works bloody hard and earns it for herself, which PeeCee herself said. But it gets worse when you realise that The Cut was apparently actually angry on Priyanka for doing well enough in her career to afford a home theatre! Re-read the ‘finer things, finer men’ line and I guarantee you will burst out laughing when you realise they were referring to Nick Jonas as the ‘finer man’ while apparently, Priyanka’s ‘team’ had briefly stopped on Tom Hiddleston when they were ‘cosying up’ at the Golden Globes. Someone in the ‘team’ should be fired for letting go of Tom then, don’t you think? 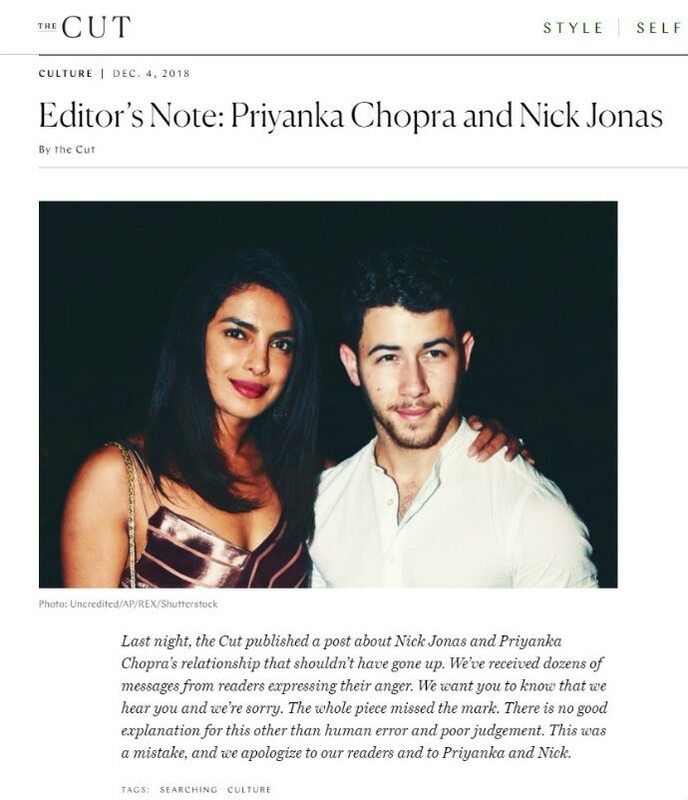 The article further added that 25 is no age for Nick to find a wife, but 35 is the age for Priyanka to find a husband. Apart from the fact that this bit completely infantilised ‘baby' Nick, it particularly was an eye-opener. Every time I read and re-read Pride And Prejudice, Mrs Bennet’s life’s ambition — “to get her daughters married” stood out as shameless, frivolous and very “silly.” Certainly, Jane Austen wanted that, to show us her silliness, so we could laugh at her, introspect and never become like her. Some, clearly, read a different version of the classic. No one batted an eyelid when George Clooney married Amal Amaluddin after retirement age, Amal being an extremely successful lawyer herself, thereby securing his future, given that his movie career is Up In The Air no more. And then, what is Nick Jonas, if not the most unsuccessful of the Jonas Brothers, with a very forgettable face and an equally forgettable voice, who stays in the news only through his link-up rumours? Let’s also, in the same breath, mock-pick on the writer of the piece, Mariah Smith, a ‘black’ woman living in New York, emphasising on the word ‘black’ — oooh, what a vicious ‘frustrated’ woman. Or is she simply heartbroken that Nick didn’t pick her?? You can’t sling more mud in order to critique mud-slinging. This kind of racism, however, is turning out to be an epidemic. By the way, have you ever met anyone particularly invested in climbing down the social ladder? 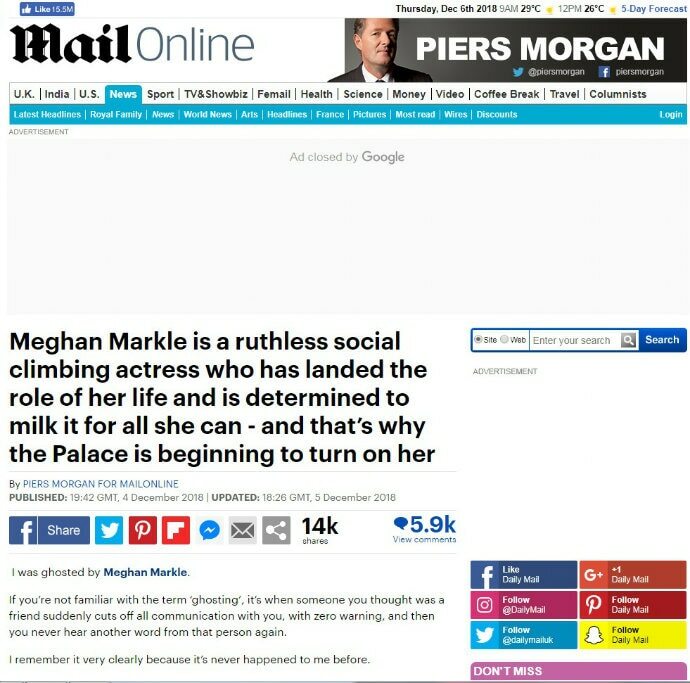 Aren't Kate Middleton or Camilla Parker Bowles 'social climbers' too then? Or Prince Philip, Duke of Edinburgh? He was serving in the British Royal Navy before he married Queen Elizabeth II. But then, let’s ‘cut’ them some slack, shall we? You see, ragging in engineering colleges is the stuff movies are made on. It’s prevalent, inexplicable, and inescapable. But when one comes out of that ragging session, they’re feeling either one of these two very powerful emotions — you either hate it so much that you never wish it upon your enemies, or you want everyone to go through what you had to. The Cut’s and Morgan’s racist, ageist, sexist piece stems from the latter. The truth, however, is that an older Indian woman married a younger white guy, and an older divorcee black woman married a younger male member of British royalty. Or, you may look at more simply — two people fell in love and they got hitched. I know it is difficult. It goes against our conditioning. But, try.